Manchester City eased to a 5-0 victory over 10-man Liverpool at the Etihad Stadium this afternoon after Sadio Mane was controversially sent off in the first half. The Reds were arguably the better side during the opening exchanges but it was City who broke the deadlock as Sergio Aguero rounded Simon Mignolet to slot home after being sent clear by Kevin De Bruyne. The big turning point came shortly before half-time when Mane was shown a straight red for catching Ederson in the face with a high boot as the pair challenged for a ball just outside the City area. The hosts took full advantage of their extra man as Gabriel headed home from close range for 2-0 on the stroke of half-time before the Brazilian international made it 3-0 not long after the break. 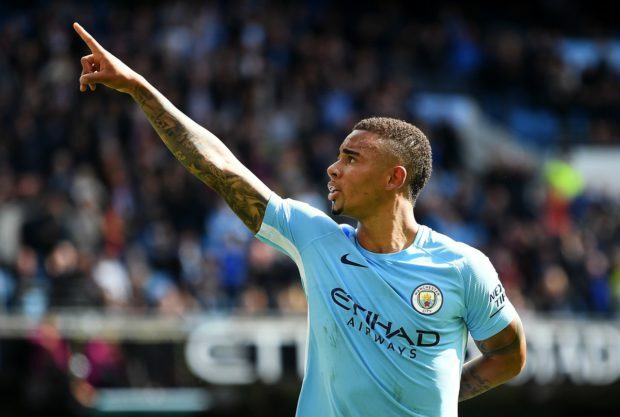 Leroy Sane came off the bench to add a fourth with a fine low finish following a wonderful team move before the German youngster curled home a superb effort from the edge of the area to secure a 5-0 victory. The win sees Pep Guardiola’s side move top of the Premier League ahead of Manchester United’s trip to Stoke later this evening.